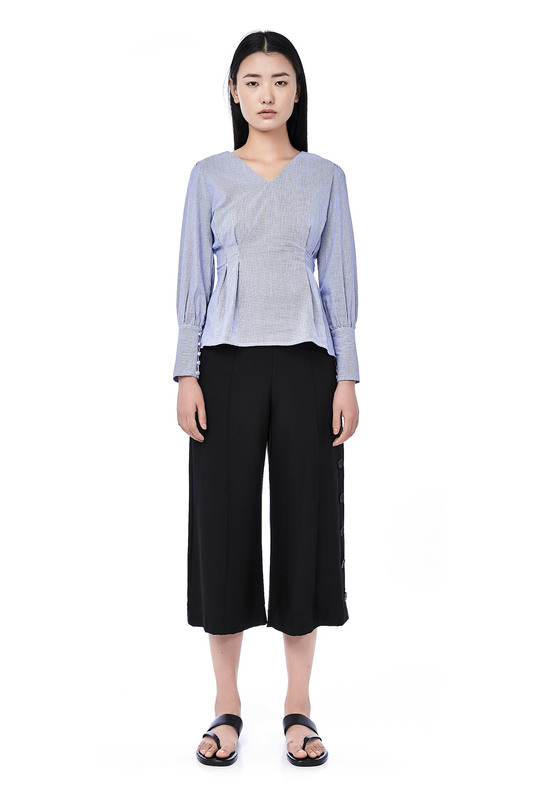 This long-sleeved top is made from cotton polyester. 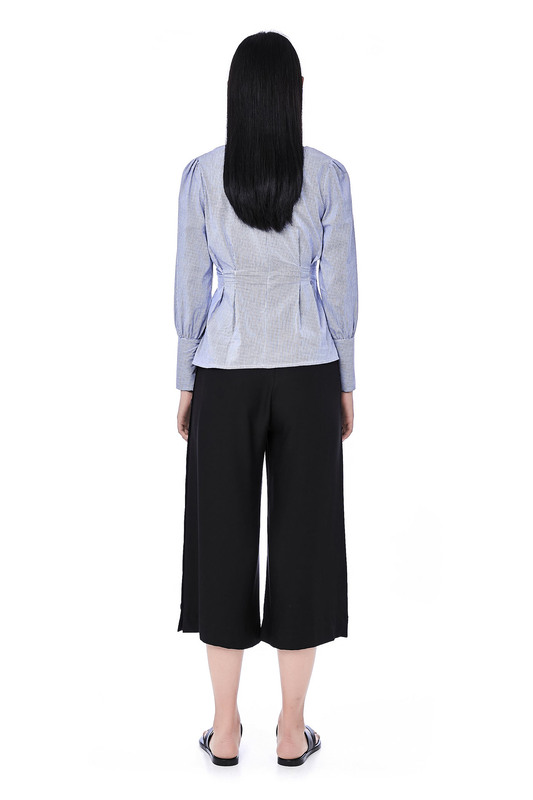 It has a v-neckline featuring tuck-seam detail on the waist and button detail on the cuffs. Made in a slim fit with zip closure on the back. BUST 32" 34" 35" 36"
LENGTH 22.5" 22.5" 23.5" 24"